This entry was posted on October 4, 2011 by lds architecture. It was filed under Building Exteriors, Meetinghouses, Mexico, San Pedro Martir Ward . Yes, I quite like this building, especially how well it sits in an urban setting/busy street. Of course, that is from looking around Google street views, since I haven’t been there yet. I really like the entry at the tower and the use of ornament at key locations. Hopefully I can get some interior pictures as well. Wow! I am quite familiar with this building as I served as a missionary in the Mexican Mission from 1958-1960 and was assigned to San Pedro Martir to help reactivate inactive members of that branch. The missionaries lived adjacent to the chapel in Tlalpan and had to walk, bus, or hitch a ride to San Pedro Martir. I must admit I do not recall the building looking this good. In fact, I have two photographs (one exterior and one interior) of that chapel taken in 1958. I will e-mail it to you. Fabulous! Thanks so much, Gerald. I have been compiling a history of the Church in Mexico for the Church History department and would be very interested in the photographs of the San Pedro Martir capilla and any others that you have from your mission. I just saw your post…don’t look at this site too often. While serving my mission in Mexico I had the opportunity to go to all the branches (there were no wards) to audit their books while my companion tuned pianos. 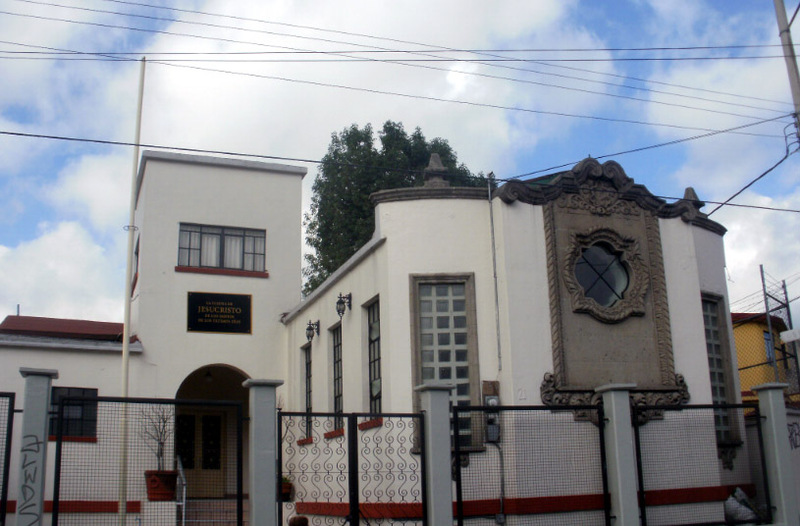 I tried to take pictures of each of the “facilities” – most were rented buildings or homes…most of the chapels were build within the Mexico City area. I’ll give you a call to discuss if anything I have would be useful to you.